In 2006 I went to the USA for the first time. Bizarrely I had no interest in going but Adam and I were invited to a wedding in San Francisco. To make the most of it I booked a round the world trip and decided to visit friends and family on the way. First stop was Scotland to see the family then on to New York. How good is New York! Honestly I absolutely loved it. I was pretty lucky as one of my friends lives in Brooklyn, he was my guide for the whole time I was there. We went to funky hole in the wall “speak easy” bars, private roof top parties in Time Square, swanky restaurants and cocktail bars. I had a ball. Then I was off to Denver to visit my favourite friends Liz and Nick. After I had caught up on my sleep I managed to soak up the slights and sounds of Denver and Breckenridge. Colorado is my kind of city, the people are LOVELY, it’s beautiful, the weather is great and it is a hop skip and a jump from the mountains! My lovely friend Liz introduced me to Chipotle which is a great chain of Mexican restaurants, great and chain general does not go in the same sentence I know. But believe me they are GREAT. Super fresh food, healthy and really tasty. 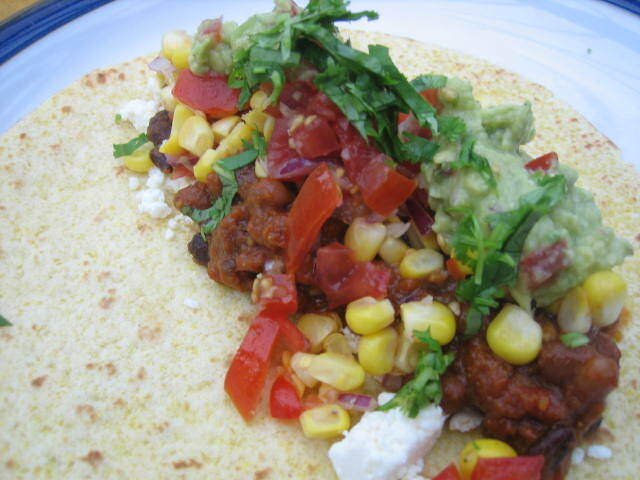 Nothing like the Tex Mex rubbish I have been used to. Since my first Chipotle meal I have become rather obsessed with Mexican food. 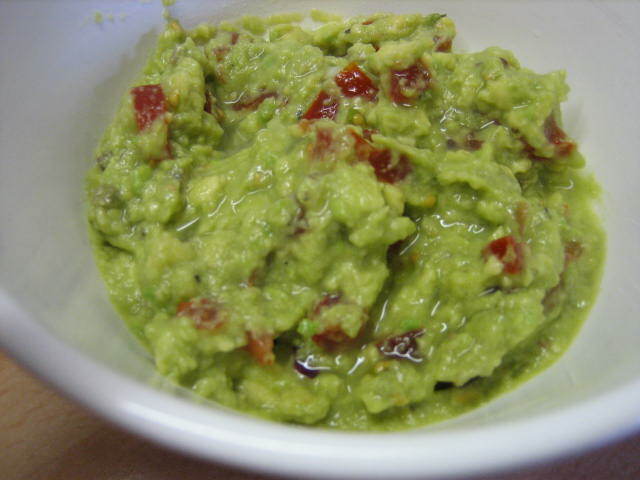 When I returned home I tried to replicate the taste sensations from Chipotle and managed to come up with some easy tasty dishes. 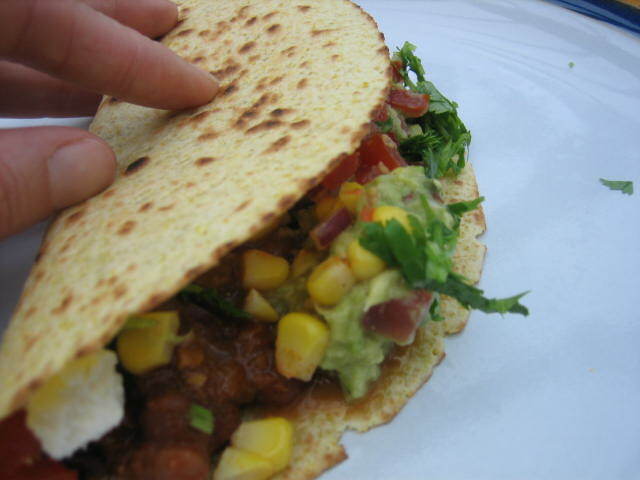 My favourite creation is corn tortilla with spicy pinto beans, fresh corn salsa, guacamole and fresh tomato salsa. It sounds like a bit of a fart to prepare but I have some excellent short cuts to make things a lot easier. Finely chop 1 red onion and 4 garlic cloves, add to a heavy based pot with a large glug of olive oil and a pinch of salt saute on a low to medium heat until soft and sweet. 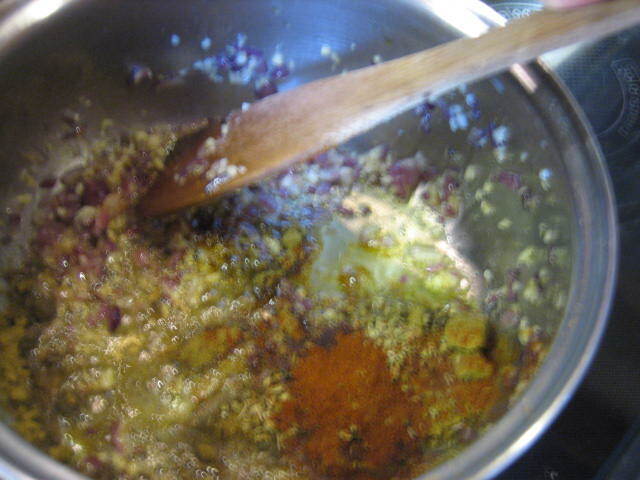 Add 3 teaspoons of ground cummin, 1 teaspoon of paprika and 1 teaspoon of oregano, saute for a minute or so to release the aromatics of the spices. Add 1 tin of peeled tomatoes and simmer. 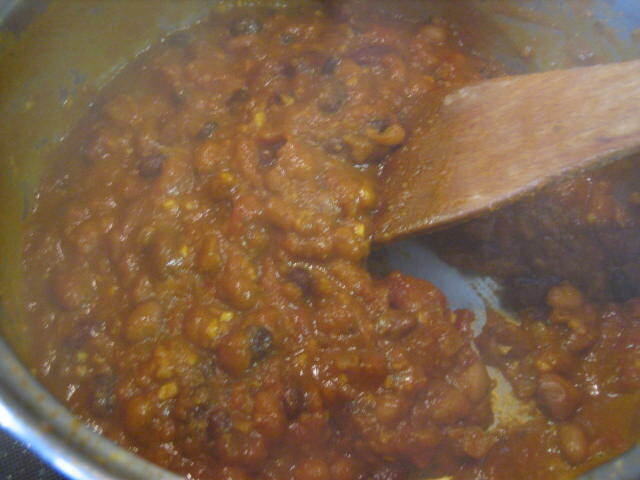 Once tomatoes have broken down and the sauce has thickened (approx 15 – 20 mins) add the tin of beans making sure that they have been drained and rinsed. You may need to add a little bit of water to prevent the sauce sticking. 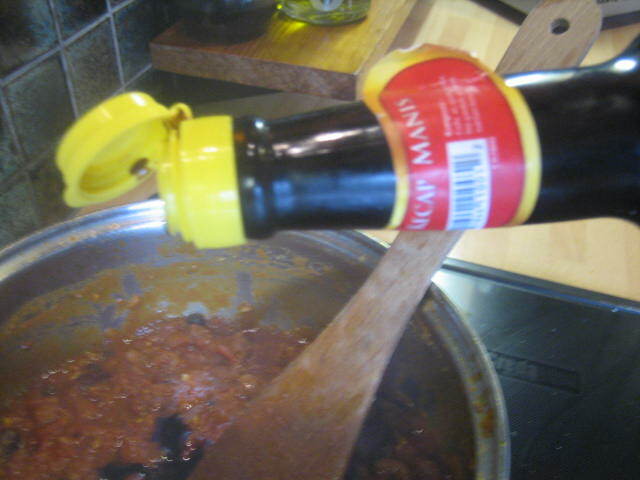 If you have Kecap Manis add a splash (about 1 table-spoon) to the sauce, if you do not have Kecap Manis you can add a little sugar if you feel that the sauce needs it. 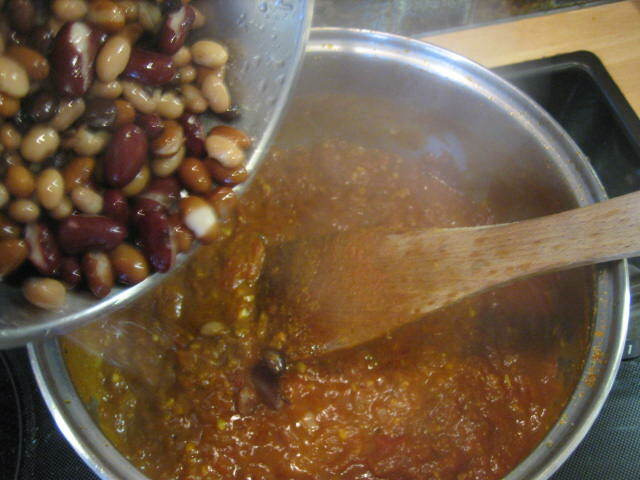 Leave the sauce to cook until the beans have started to break down (but not fully) this should take about another 15 – 20 mins. Season with salt and pepper and add some finely sliced coriander (optional). 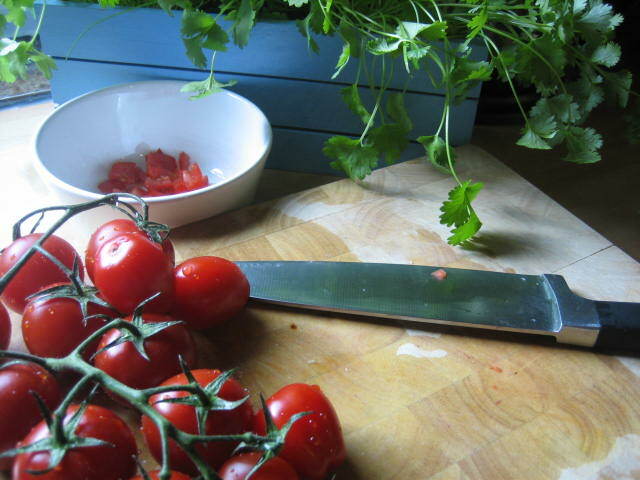 Dice fresh tomatoes and add to a bowl. Very finely dice 1 red onion and crush one clove of garlic with a pinch of salt. 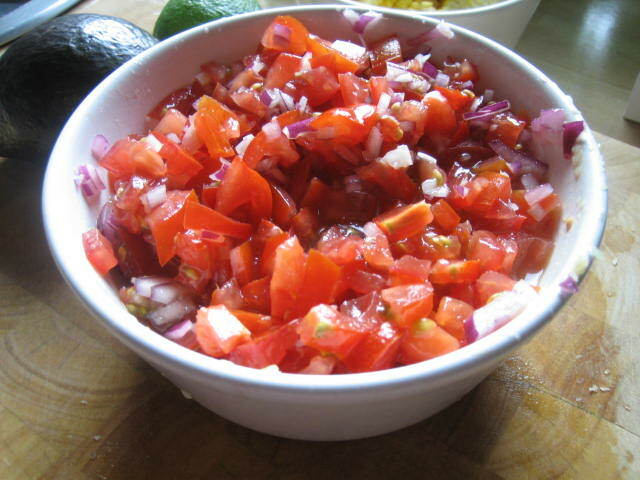 Add onion and garlic to tomatoes. 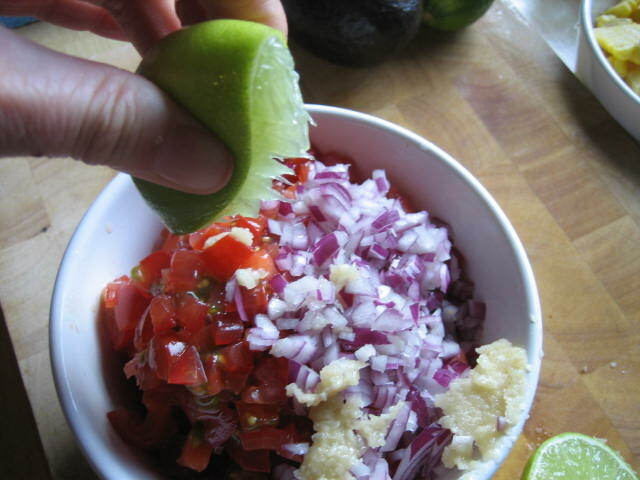 Squeeze the juice of 1 lime and add to the tomatoes. 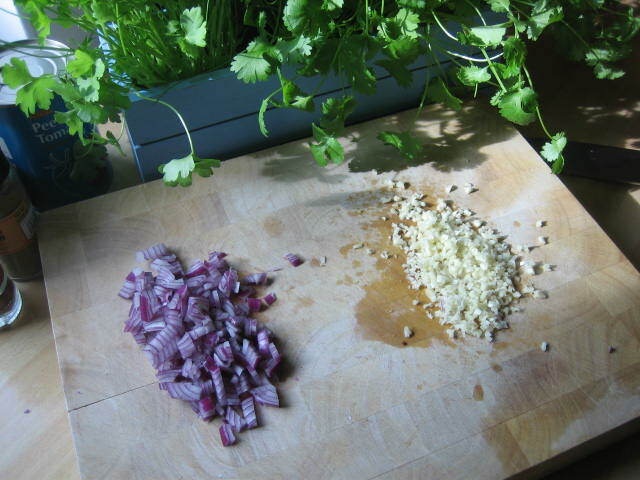 (add some finely sliced coriander – optional) and season with salt and pepper. 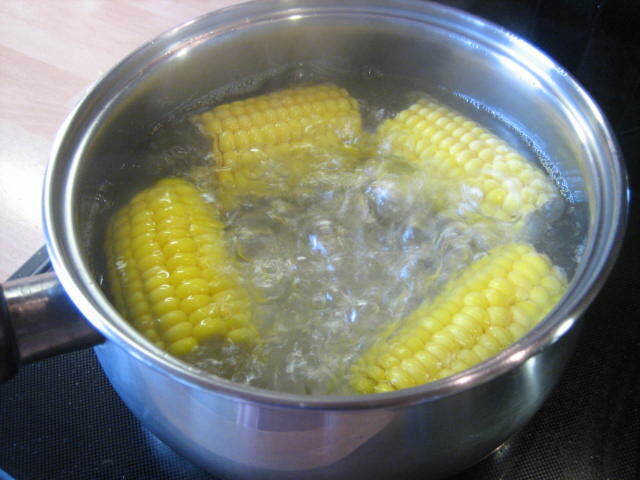 Strip off the husk and wash corn add to a pot of boiling water and cook until tender (5 – 8 mins). 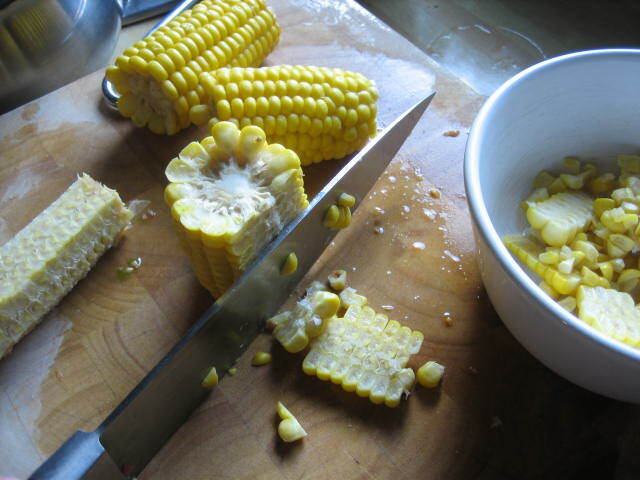 Do not add salt at this stage as it can make the corn tough. 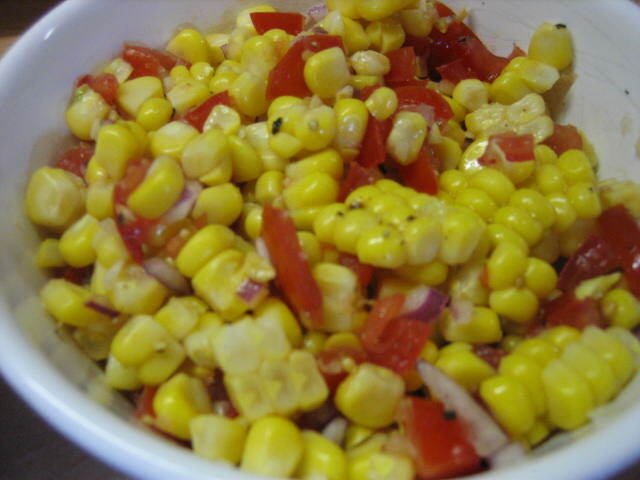 Cut the corn kernels off and add them to a bowl, take a couple of spoons of the salsa and add to the corn. 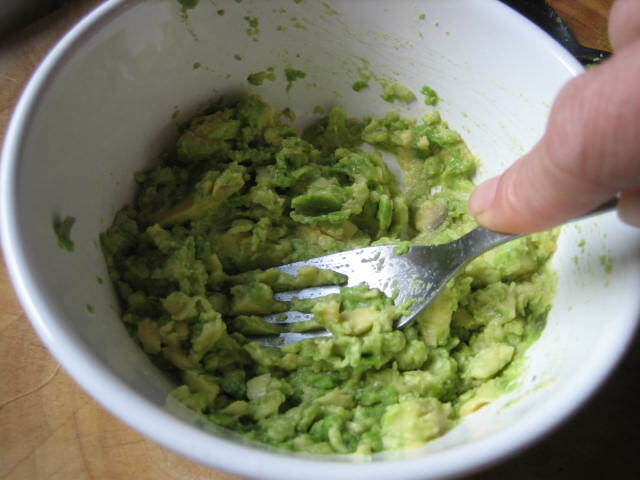 Season with salt and pepper and add a little more lime juice. 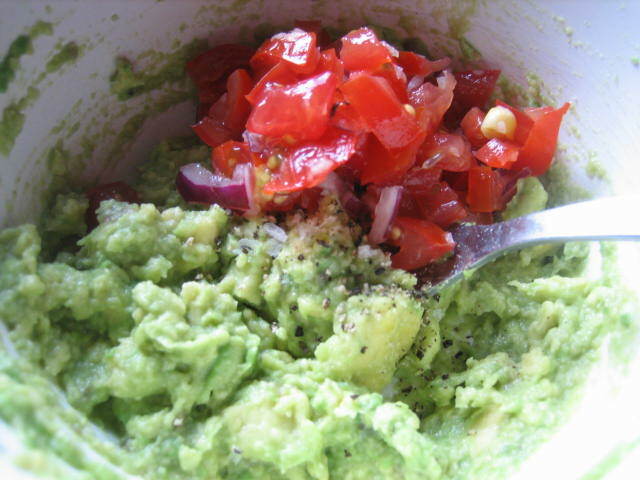 Mash avocado and add a couple of spoons of the tomato salsa, season and add a little more lime to taste. 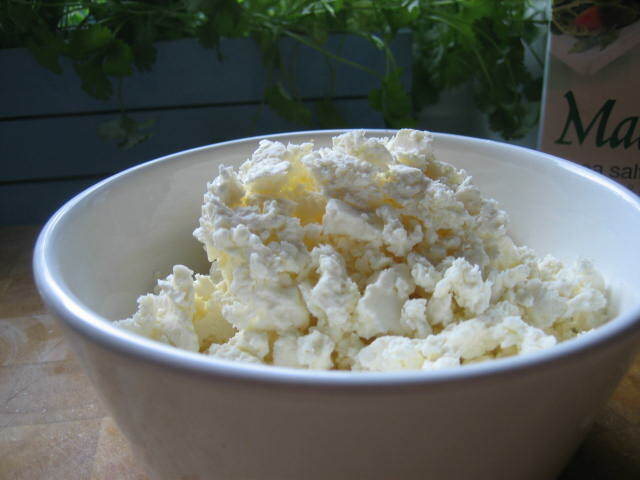 Serve with crumbled feta and warmed tortilla. BTW please don’t microwave the tortilla I recommend you pop the tortilla into a piping hot frying pan and lightly toast. The tortilla will taste so much better.